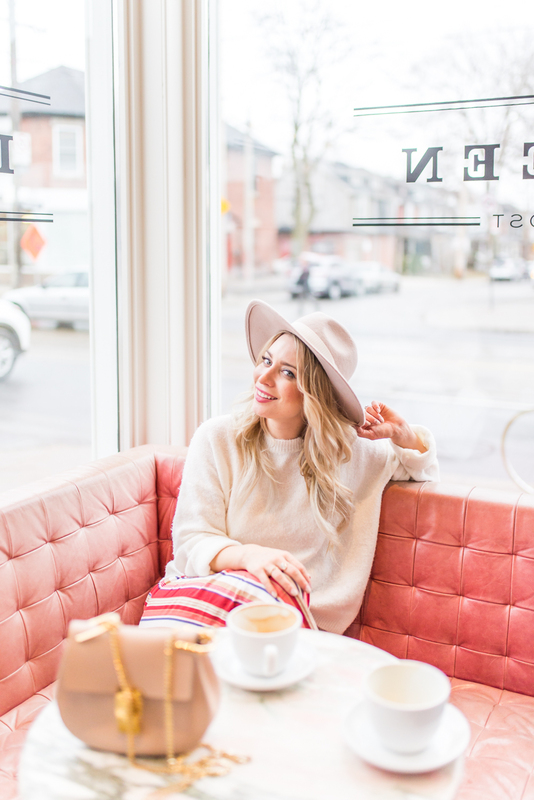 April 2018 | La Petite Noob | A Toronto-Based Fashion and Lifestyle Blog. Y'all, let get real here - I've been shaving my legs for as long as I can remember. Ever since I overheard a friends in middle school talk about how they started shaving, I begged my mother to buy me a razor to start the process too and never looked back. That being said, after doing a particular grooming habit for over two decades now, one gets into a routine - I always use a good-quality shaving cream, a great razer and shave in a upwards fashion - never down, and certainly never both at the same time. This all changed when I was introduced to the new Schick Intuition f.a.b. ; a razor where you can shave safely using both upwards and downwards motions. I know it sounds crazy, but stay with me here. The razor itself is pretty cool to see. There are two rows of blades; the top ones shave up and the bottom ones shave down. 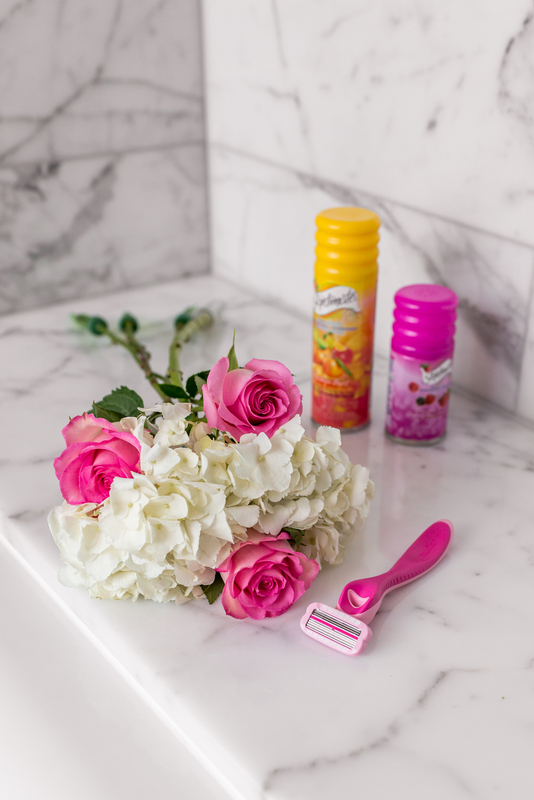 There is also Advanced Moisture Gel on the outer layer of the razor itself to help it move smoothly along your skin. 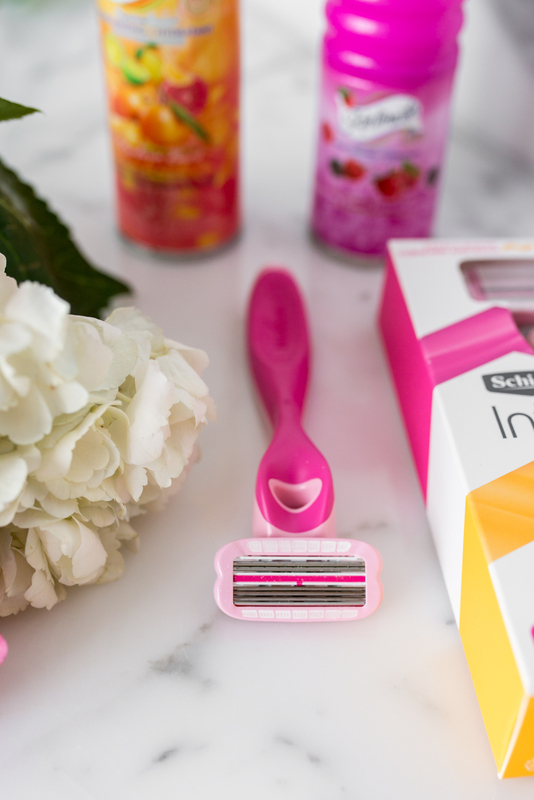 The result is a really close shave that's really comfortable - no irritation or sensitivities - you never even need to lift the razor from your skin! Although it took a while to break the shaving routine that I've had for the past hundred years, I can honestly say that I'm converted. I feel as though the closer shave has actually extended how long I can go without shaving and the whole process is just easy. What do you guys think? Have you been shaving for years and years like me? Have you ever thought about shaving both frontwards and backwards? Let me know! If you follow me on Instagram, you know that one of my favourite activities is running around Toronto taking photos for my feed. 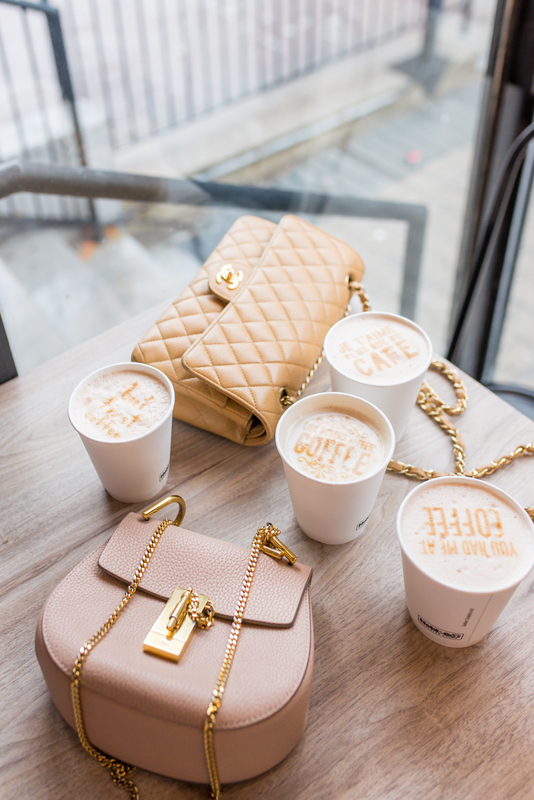 As much as I love finding a new café, or experiencing a new spot for brunch, the whole process can start to get expensive. A coffee here and there can really add up, and sometimes I just want to take a quick photo of my outfit without having to spend any money. I have a list of my go-to FREE Instagrammable spots in Toronto; locations that are consistently Instagram-worthy, and cost nothing to photograph. Here are some of my go-to free spots in Toronto for when I want to shoot a quick photo on Instagram. While Café CanCan is its own pink paradise, it can be quite a costly spot for brunch. I prefer the adorable pink door that's right beside it, for when you want a cute shot for the 'gram - it's free, and you don't have to put up with the atrocious service that the restaurant is known for. Sugar Beach is one of my favourite free spots in Toronto that is 100% pure Instagram goals. The pink umbrellas, white chairs and light sand make the most beautiful backdrop to any photo. The location can get extremely busy in the summer, so it's always best to visit during the week if you can. The architecture at Exhibition Place will have you forgetting that you're in Toronto and thinking that you're in Europe. *Note: I've heard stories of security guards preventing people from taking photos at this location. While I've never had any troubles myself, it's worth mentioning to keep your eyes open. Can you tell that I have a think with pink doors? 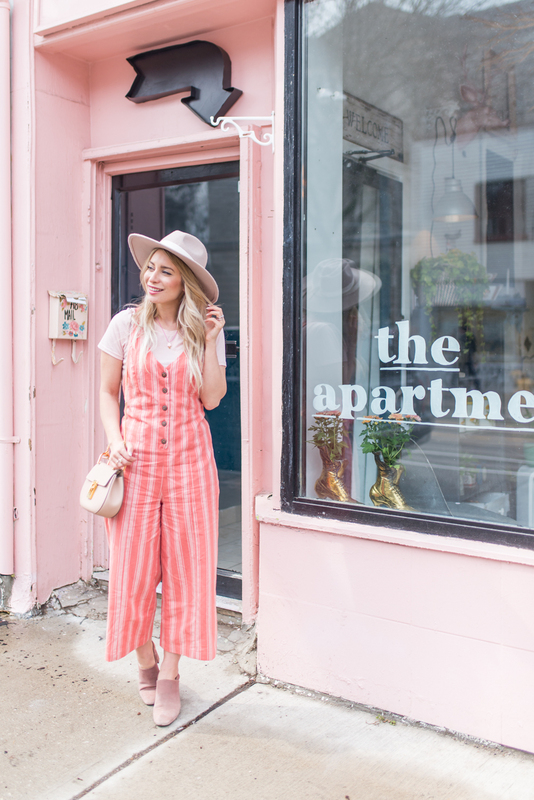 I always make a point to snap a quick picture in front of Sweet Philosophy's beautiful pink door whenever I'm in Mississauga. With Toronto's new pilot project limiting cars on King Street, it makes it so easy to snap a quick street style photo! I just love the architecture on King street between Jarvis and Yonge, and it's even easier to capture the beauty of it without the distraction of cars. There's a walkway on The Esplanade in Toronto thats lined with beautiful columns, and is the perfect spot for taking a photo for Instagram. This area is also covered, so it's my go-to spot for shooting photos in the rain. That's it! My list of tried and true, FREE spots to shoot your Instagram photos in Toronto. I would love to know if you also have some go-to locations that don't cost a cent for taking photos? Let me know! It's been just over a month since Sabrina and I flew from Toronto to Los Angeles to attend Create & Cultivate. This would be my first blogging conference that I've ever attended, so I didn't have any expectations - especially as a Canadian attending an American conference; all I really wanted out of the experience was to have fun and to leave inspired. Well, needless to say that Create & Cultivate definitely exceeded my expectations. I could not get over the amount of work that was clearly poured into making this conference not only beautiful, but inspiring as well. I really enjoyed the panels of industry leaders, and the opportunity to meet some people I truly admire in person. It was a long day, but a fun one and I'm so happy to have had the opportunity to attend. I left my first conference feeling inspired and motivated like never before. One of the biggest questions I got after attending the conference was 'Is it worth it?' That all depends. I think that a conference like this would have been so valuable when first starting to blog. A lot of the tips and tricks that the speakers and panels mentioned I already knew, but through experience, as well as trial and error (lots, and lots of error.) It would have been amazing to have known of these lessons in the beginning. That being said though, I'm still very happy that I was able to attend Create & Cultivate. I left feeling so inspired, and it was genuinely a good time. There was a lot of information being shared that day, but here are three key points that really stuck with me from Create & Cultivate. Blogging has changed so much, even in the few years that I've been doing it. It seems like the focus has shifted from blogs to social media, and while it's important to keep up with the changing landscape of the industry, you still need to focus on the one thing you own: your blog. It was refreshing to hear industry giants who have massive followings on Instagram talk about the importance of having and maintaining a blog. Think of your blog as your home-base, and all of your social media channels as gateways to draw new audiences to the blog. While it seems like all of the sponsors and attention are on Instagram these days, in the end we all don't own the platform and we're all just subject to the next app update (hello algorithm change.) Your blog is the platform that you own, and that you can control. Don't neglect it, and keep it your priority. This was so interesting to hear, since I've been doing this for years but never knew the proper term for it: batch content. That means that rather than flying by the seat of your pants for photos, blog posts, videos, etc. you dedicate entire days to gathering content to set you up for the coming weeks. 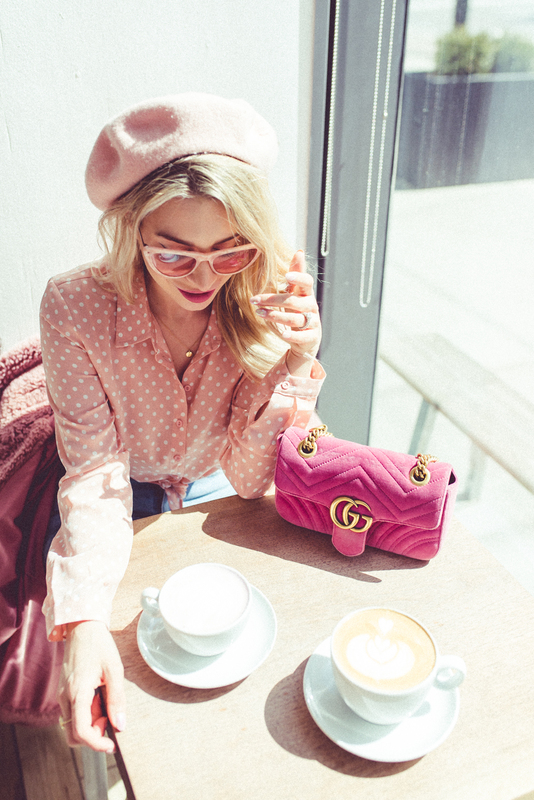 I remember unconsciously making the shift to batching my content last year, where I would dedicate an entire day to shooting photos for my Instagram and blog and have them go live through the coming week and it was huge game-changer for consistency. It was refreshing to hear that most other bloggers do this as well. I'm going to take this principal to my new Youtube channel to try and batch my content with filming videos so that I always have consistent content going up. While it's easier said then done, the one constant that was heard from inspiring women in the industry was that if you want something, ask for it. This lessons applies on all aspects of the blogging industry, but can be especially useful whenever money is involved. If you think that you should be getting paid when being approached by a company, then ask for it. If you have a problem with a contract that you're about to sign, then say something. Ask questions. Speak up. We hold the power and in order to exercise it, you really need to be comfortable asking for what you want. What do you guys think? Do you agree with the lessons from Create & Cultivate? Have you ever been to a blogging conference? What was your experience? Let me know!